We offer a variety of quality conservation, environmental educational, and stewardship programs, products and services. Contact us! Our motto is "Codorus Creek -- Growing Greener, Flowing Cleaner!" Clean water is essential to all living things in our watershed - especially people. Its up to you, me and us to let our elected officials know that we care and educate them about the importance of restoring and protecting its biodiversity for future generations. Contact us! Restoring and protecting the Codorus Creek and its environs as habitat for biodiversity for future generations starts with a plan. However, a plan is only worthwhile if its implemented. CCWA is actively involved in watershed planning, restoration and protection with its plans and projects (See Resources) that you can download, review, and get involved. Cooperating landowners wanted. Contact us! Teachers! We offer a variety of quality indoors and outdoors watershed environmental education programs supporting Pennsylvania's Watersheds & Wetlands academic standards. Our programs are focused on the Codorus Creek watershed and its environs as habitat for biodiversity. We will work with you to customize each program to meet your needs. Contact us! A watershed is an area of land where all living things are connected by water. Water is essential to all living things, including people. We all live, work and play in a watershed no matter where we are. Watersheds cross local, county, and state geopolitical boundaries. The way we use the land and water directly affects its quality and quantity. Everything we do in our daily lives produces small, dilute quantities of pollutants (i.e., sediment, nutrients and toxics) which enters our streams and wetlands through stormwater runoff. The nonpoint source pollutants are the leading causes of aquatic life impairments by excess nutrients, habitat loss, hydromodification, and toxicity. We are stewards of the air, biodiversity, land, plants, soil, water, and wildlife. 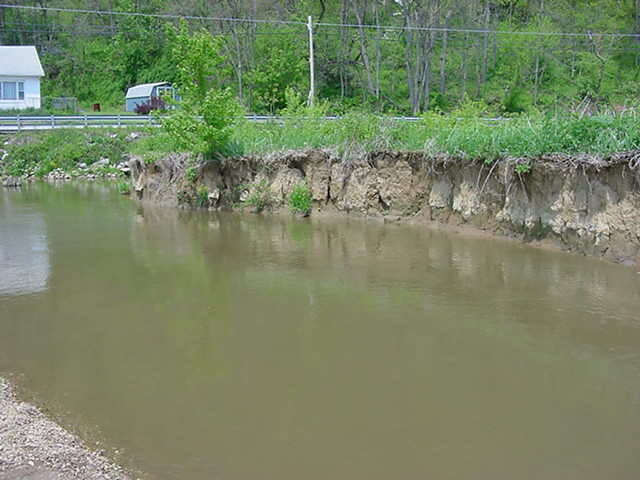 Restoring and protecting riparian vegetation is simple, inexpensive and easy to do. Riparian vegetation buffers streams and wetlands by slowing down runoff, filtering sediment and nutrients from runoff, and providing wildlife with food, shelter, nesting areas, and clean water. CCWA's HELP-Buffers program was created in 2005to provide landowners with financial and technical assistance restoring and protecting streamside riparian vegetative buffers. Contact us today! HELP-Buffers open enrollment for landowners seeking financial and technical assistance restoring headwater stream riparian buffers. Download application below.